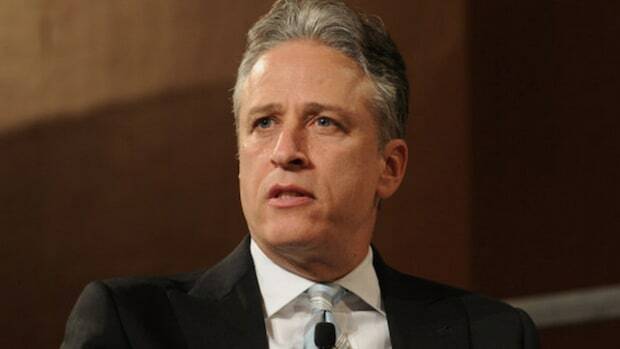 Jon Stewart succeeded in keeping fans of the show in the boat, but gave up the chance to secure a big win for himself and his embattled replacement. 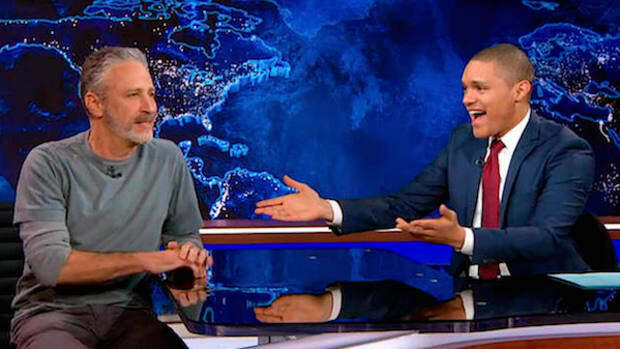 With a week to mull it over, The Daily Show and host Jon Stewart returned from a week off Monday night with a chance to address the controversy that erupted over future Daily Show host Trevor Noah&apos;s Twitter feed. Barely hours after Noah was announced as Stewart&apos;s eventual replacement, the internet erupted over a selection of Noah&apos;s past tweets that mocked Jews, fat chicks, Jewish chicks, and even (perhaps worst of all) atheists. Comedians and Lena Dunham rushed to defend Noah, who brushed off the controversial tweets as "a handful of jokes that didn&apos;t land." "But it kind of just goes that way. The only (thing) I would say is I do hope you give him an opportunity to earn that trust and respect, because my experience with him is that he is an incredibly thoughtful and considerate and funny and smart individual, and man, I think if you give him that time, and it&apos;s going to be well worth it. I&apos;m excited for where he&apos;s going to take this." This approach had the benefit of giving critics very little to push against, and kept fans who might have been put on the fence by Noah&apos;s tweets from jumping over. It won&apos;t convince anyone who was driven away from the show by the controversy, which the show is obviously hoping was a small number. Still, Noah already faced an uphill battle as an unknown talent taking over a cultural institution that he has, thus far, made a pretty poor showing on. 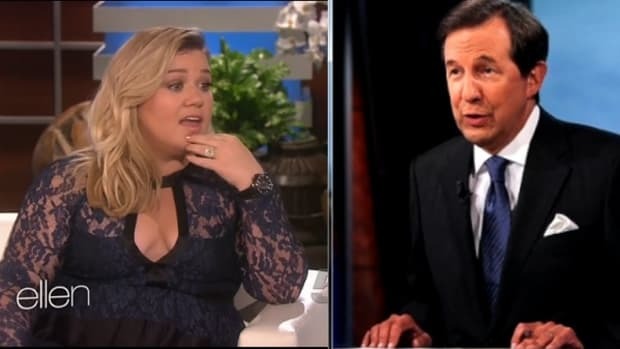 You could chalk my assessment of Noah&apos;s Daily Show performances up to advanced age or a too-specific sense of humor, but his smattering of appearances on the show were not well-received by the studio audience, either. Stewart&apos;s defense of Noah might be enough to save his job as host, but did little to dig Noah out of the deepening hole he&apos;ll be starting in. 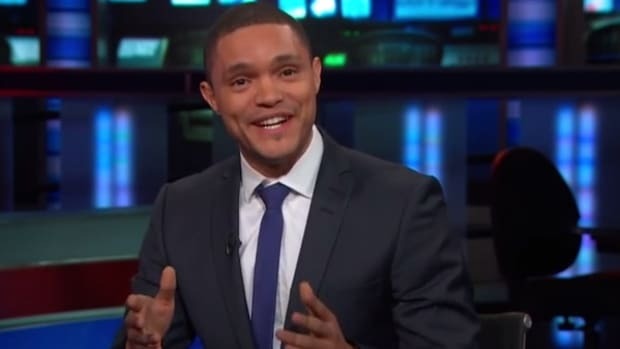 With a week to think about it, The Daily Show missed a huge opportunity to capitalize on the controversy, and maybe help Trevor Noah earn some of that respect and trust up front. Instead of pinning a brief moving on note to the beginning of the show, Stewart and company could have taken this chance to satirize the outrage engine that Noah&apos;s tweets revved up, while also lampooning Noah himself. There are a million ways they could have done this (I had some ideas), but even their B-block from Monday night could have easily been adapted to the task. Jordan Klepper was doing a bit in which he trolled conservatives for donations by pretending to open an even more bigoted pizzeria than the Indiana eatery that has received almost a million dollars in GoFundMe donations. Instead of picking that low-hanging fruit, they could have had Klepper composing offensive tweets in an attempt to usurp Noah as replacement host. 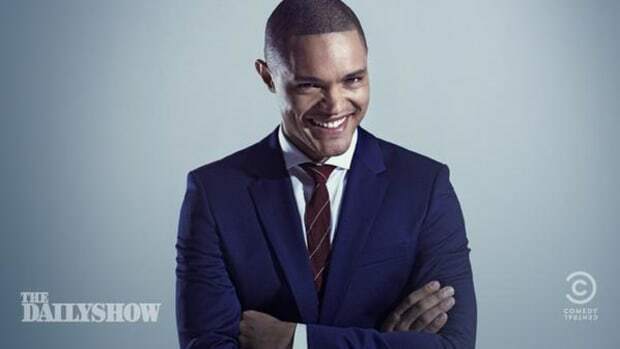 Trevor Noah could have joined the bit to deliver some welcome self-satire, perhaps engaging in a Dueling Banjos offensive tweet-off, with Stewart protesting the proceedings. A display of "The Aristocrats"-style one-upmanship would have been hilarious, and would also have made the point that comics like Patton Oswalt have been trying to make, while also hitting the edgy comedic target that Noah&apos;s tweets missed so badly. It would also have been a great opportunity for Noah to show off some comedic chops, and restore some of the likability that&apos;s so important to the job he&apos;s trying to take over. Most of all, though, it would have been really funny, which is supposed to be why we&apos;re all watching in the first place. 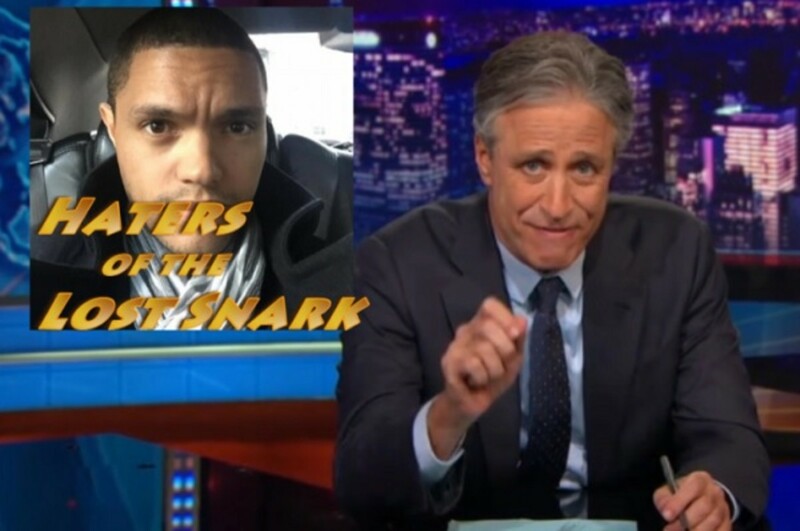 The week is young, though, so we&apos;ll see if The Daily Show gets around to Daily Showing itself.